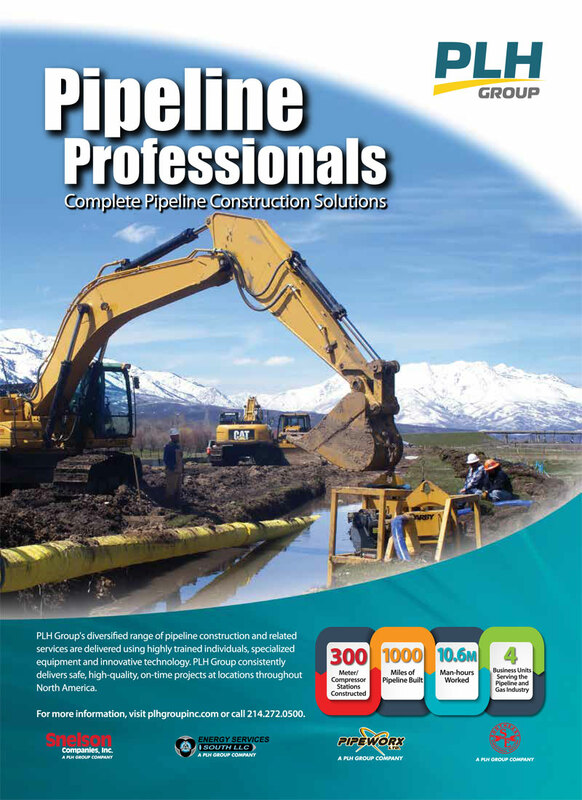 Pipeline and Gas Journal published an advertisement featuring the extensive pipeline construction solutions provided by PLH Group, Inc. companies, including Pipeworx Ltd. — one of the most innovative and respected oil and gas pipeline contractors in the Western Canadian Sedimentary Basin. PLH Group is a power line and pipeline specialty contractor serving the electrical power line, pipeline, and oil field electrical and industrial markets. Pipeworx joins three other PLH Group companies — Snelson Companies, Inc.; Energy Services South, LLC; and Southeast Directional Drilling — in providing comprehensive pipeline construction results throughout North America. Together, these companies not only utilize their diversified qualifications, but also their extensive experience performing work in all conditions and terrains. These industry-leading companies employ highly-trained personnel who have jointly worked over 10.6 million hours using specialized equipment and innovative technologies to deliver quality pipeline construction results safely and efficiently. They have collectively constructed 300 meter or compressor stations and built 1,000 miles (1,609 kilometers) of pipeline. That’s 17,600 football fields! Visit plhgroupinc.com or call 214-272-0500 to learn about how PLH Group’s well-versed pipeline construction companies can safely deliver comprehensive solutions and quality results on your next project.